"Every man shall give as he is able, according to the blessing of the LORD your God that he has given you." As we give financially to the Lord's work, we become keepers of the flame. We help spread the gospel message. We meet people's needs. We assist people in growing spiritually. We enable our churches to shine as God's lights in the world. Such privileges fill our hearts with joy. Download Evangel's Mobile App from the App Store for iPhones or Google Play for Android phones. There is a safe, secure option for giving located inside the app labeled Give. There are boxes located in the back of the sanctuary specifically for giving. Giving envelopes are provided near the box. 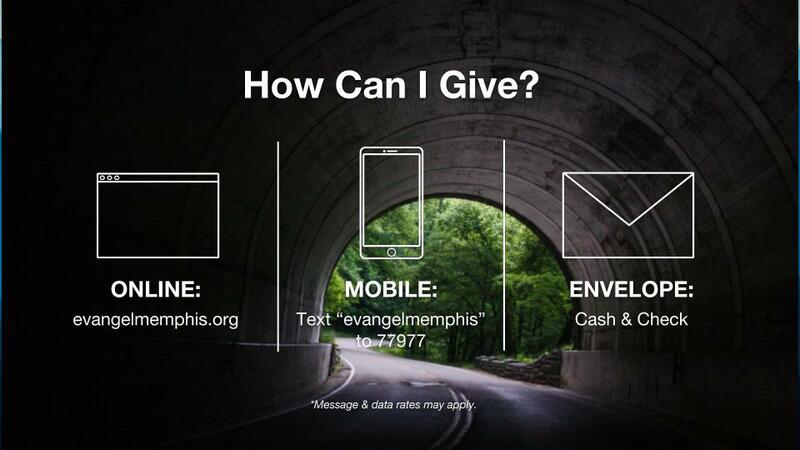 Do you have a business or investment that you'd like to leverage for the mission of Evangel Church? Like a printing business, real estate investment, or frequent flyer/hotel points? We'd love to hear what you're thinking! Contact us and we'll brainstorm together.